There are some very simple, practical tools we can quickly learn and incorporate into our lives that will not only improve our quality of life, but also add to the number of quality years we can experience in our lifetime! 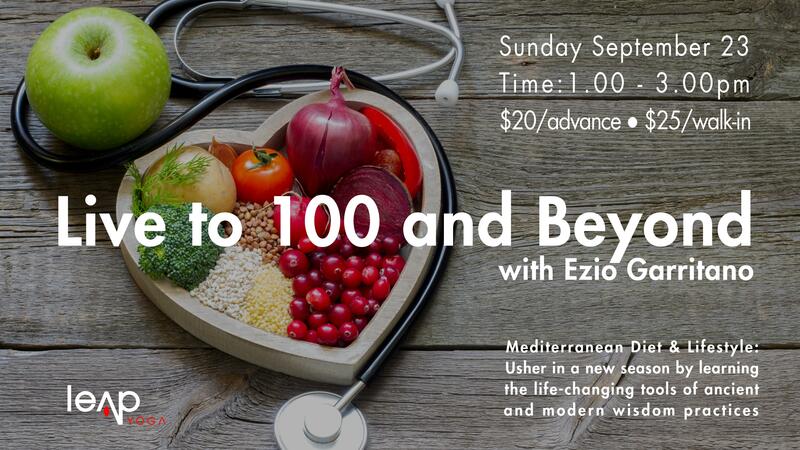 We will take our lead from some of the largest concentration of centenarians known worldwide as researched through the Blue Zones project, and add to that the time-tested ancient wisdom of yoga, along with the insight of some modern day gurus. Expect to walk away with the tools needed to begin this journey for yourself, as this will prove to be an informative, interesting and practical time together!